PRESS RELEASES - Dental Technology Showcase 2019 - There's more to this....than meets the eye! At DTS, we will show how lab owners can stay ahead in digital manufacturing, remain competitive and maintain quality of production. Choosing the right manufacturing process will help ensure time and cost-efficiency. We will show how Techceram validated open workflow recommendations can benefit labs. 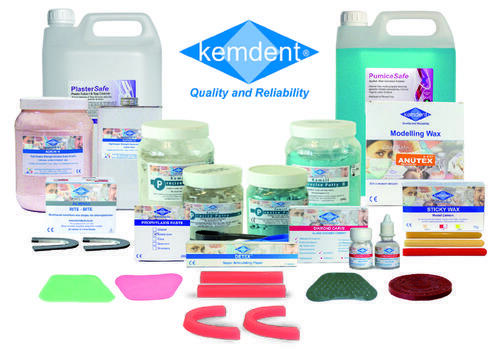 Kemdent - UK Manufacturing at it’s best! 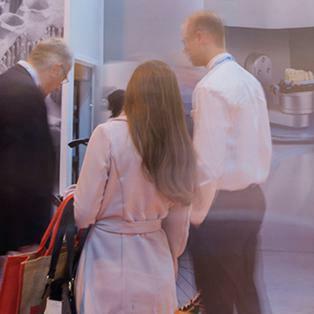 Find out why Kemdent products are valued around the world, visit Kemdent’s stand F02 at DTS 2018 and talk to our qualified sales team about Kemdent’s high quality, UK manufactured Dental Laboratory and Dental Surgery products available at competitive prices. Find out how Carestream Dental technologies could make your life easier in the lab! For many Technicians, the current Dental Maket is a minefield. Is CAD/CAM completely taking over from the traditional working methods ? Is CAD/CAM suited for everyone? What are the advantages and the disadvantages? Is it better to outsource or mill in house? Which scanner, which printer ? At Panadent we aim at helping and advising our Customers to the best of our abilities so they can make the right invesment for their busines model and requirements. Our after sale service is unrivalled and Customers are assured of getting support for as long as they need. We offer the same commitment to all Customers for all the products we offer. MR. 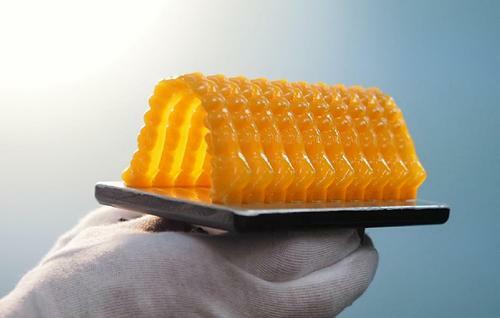 Dental is one of the UK’s leading dental manufacturer and supplier: specialising in a wide range of denture-base materials, prosthetic teeth, crown & bridge acrylics, pigmented tooth making polymers, acrylics used for orthodontic work. ?We supply to the Uk and to over 80 countried worlwide. Until recently, the only way into the world of digital dentistry was to invest in a 3D scanner. Scan Lab changed it. The DLA have got you covered this DTS! 3D Dental Viewer: sitting upright with an eye on the object and a focus on quality. Precise models at low cost and time investment and free choice of system! More precision, efficiency and flexibility during model production and at the same time easier working procedures? Renfert’s new AUTO spin model production system not only makes model production easier and more reliable, but also faster and at a lower cost. The pin drilling system features a dual-fixture, a universal plate holder and Renfert‘s new, innovative “Level Controller” – for more precision when positioning challenging impressions and for a better control over the position of the pins. The extensive AUTO spin accessory, which is compatible with other model system manufacturers, guarantees a reliable and reproducible working process. 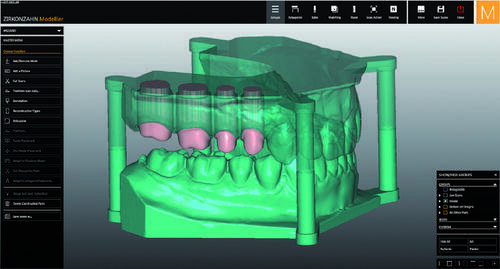 With the Zirkonzahn.Implant-Planner implant planning software, the cooperation between the dentist and the dental laboratory can be taken to new levels, reconciling the planned aesthetic design of a prosthetic restoration with the planned implant situation (backward planning). 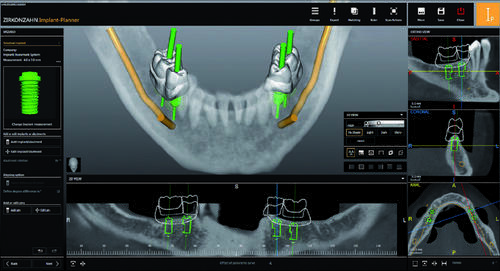 Based on digitally merged patient data (such as DICOM data or data from model or facial scans), the dentist can determine the optimal implant position in terms of function, anatomy and aesthetics, taking bone structure into account. 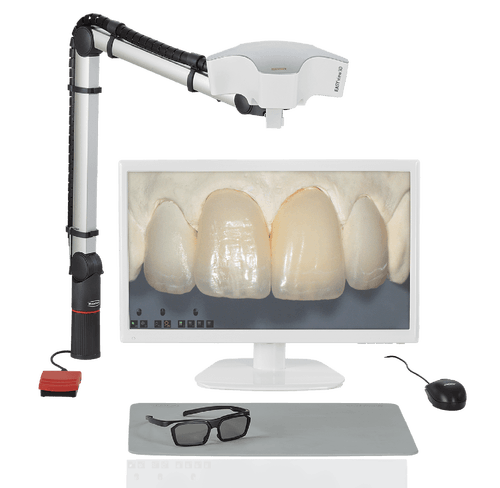 Zirkonzahn provides dental technicians with all the necessary components, both hardware and software, for the digital planning of a complete restoration. The South Tyrolean firm manufactures all components and materials required for scanning, constructing and milling, including the materials needed in implant prosthetics: titanium bases, Scanmarkers, White Scanmarkers, laboratory analogues, ScanAnalogs, Multi Unit Abutments, Raw-Abutment® blanks with prefabricated implant connections, screws and milling materials. It’s all change for the Orthodontic Technicians Association (OTA) after its September conference and annual general meeting in Manchester. At Dentsply Sirona, we work with dental professionals to envision what‘s possible, then provide innovative solutions to achieve it. Education and support help move each procedure forward, ensuring the benefits of our innovations are realised. Visit our stands C25-30 to discover how everything we do is about helping dental professionals deliver the best possible dental care, for the benefit of their patients and practices – today and for years to come. Leading clinicians will be available on our stand to help you get the knowledge, skills and inspiration that you need to stay up-to-date as well as develop yourself and your practice. Injection Fast® allows injecting a special cartridge (IPER) that can contain up to 45 grammes of any thermoplastic material. 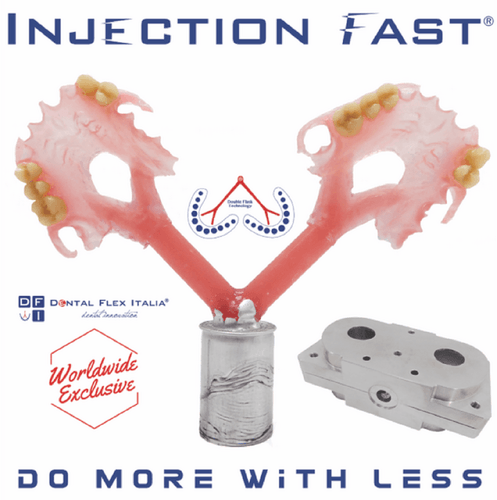 This is a unique feature of the Injection Fast® system, no other system currently offers what. The system obviously allows yourself to inject small amounts of materials, to achieve small or medium sized devices. The system in addition to the double flask can use the conventional single flask, thanks to our universal adaptor. To compliment the most advanced injection system, we also offer the high-performance polyamide with the 7 aesthetic colours, ultra-compact surface, that will not discolour. Come to our stand for special offers. Heart patients could be screened in just 90 seconds using a wireless, hand-held device designed and developed by AME Group. Working closely with our client Rapid Rhythm, we employed a user-focused design process that identified a number of product innovations. The result is a user-friendly device that facilitates quicker heart screening tests and requires fewer training hours for medical professionals. More than half a million people in the UK suffer from atrial fibrillation (AF), which causes an irregular heart rate. AF results in 575,000 hospital admissions a year. The Rapid Rhythm device is held to a patient’s chest to diagnose AF and other major cardiac conditions. Data is relayed to a LCD touchscreen displaying a four-line ECG trace and wirelessly downloaded for further analysis by a doctor. It is compatible with existing ECG machines and can be used in many clinical settings. As part of our user-focused design process, we conducted on-site interviews at GP surgeries and heart wards to understand patients’ needs. This identified a number of unique product features that we explored across a range of design concepts. The chosen product was engineered in 3D CAD, with a number of test prototypes created using our in-house facilities. IPS e.max is the flagship all-ceramic system from Ivoclar Vivadent. 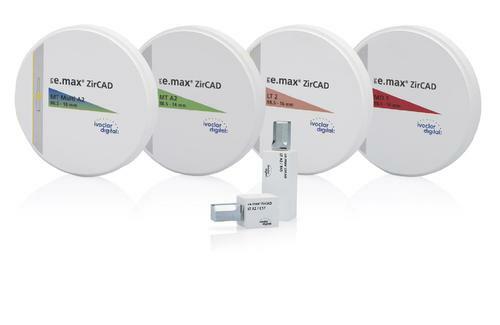 Since it was launched, the IPS e.max range has comprised lithium disilicate glass-ceramic materials (IPS e.max Press and IPS e.max CAD) and zirconium oxide (IPS e.max ZirCAD). 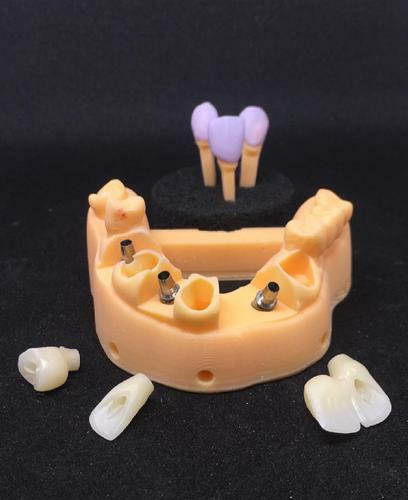 Now the range will be extended to include zirconium oxide discs and blocks for the fabrication of natural looking restorations with optimized properties. Renishaw will demonstrate the improved functionality of its new scanning equipment at the Dental Technology Showcase (DTS), taking place 12th – 13th May 2017 at the NEC Birmingham, UK. On stand H10 Renishaw will exhibit its innovative dental scanners and promote advances in digital partial dentures and promote its additively manufactured maxillofacial implants. 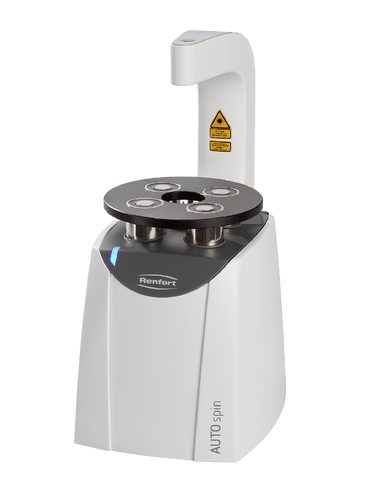 As a well-established manufacturer with extensive knowledge of the dentistry industry, Renishaw will exhibit its range of new dental scanners, developed by Medit. 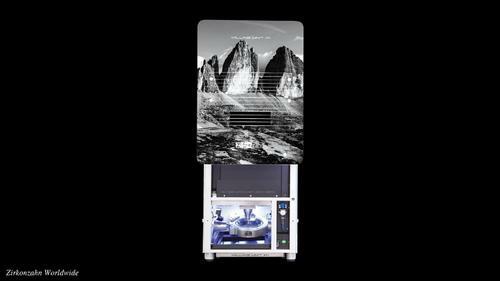 The new scanners allow dental labs to provide a more efficient and cost effective service to their customers. Visitors to the stand will also be able to see Renishaw’s innovative metal 3D printed removable partial dentures (RPDs), known as LaserRPDTM. These additively manufactured dentures have strong flexible clasps to firmly hold the dentures in place whilst allowing for easy fit down. LaserRPDs can be quicker and cheaper to produce and create less waste than traditional methods. 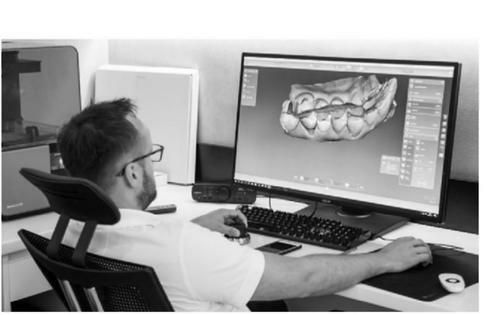 James Cox of Intelligent Dental Design, an exocad expert, will be on-hand to offer scanning and CAD demonstrations as well as show the more advanced features available. Bristol Cadcam stock and supply cadcam machinery, consumables exclusively for the dental industry. 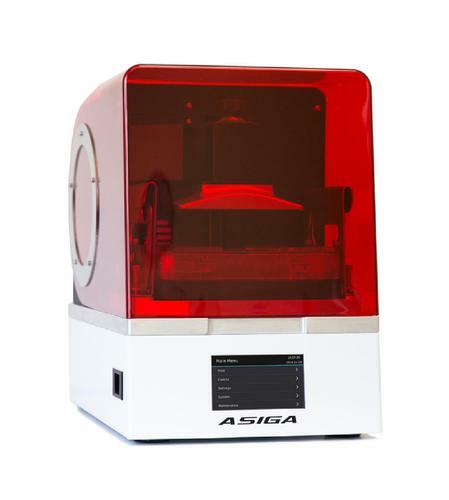 Introducing: Asiga MAX™, the ultimate HD desktop 3D printer. Sagemax, America’s largest dental zirconia manufacturer and manufacturers of the NexxZr Brand, will be showing their revolutionary Ultra-Translucent zirconia NexxZr + as well as their new Ultra-Translucent 9-Layer zirconia NexxZr UTML, both. with 1,00 Mpa. Stop by and see for yourself the next generation of zirconia.